I would find this baffling. 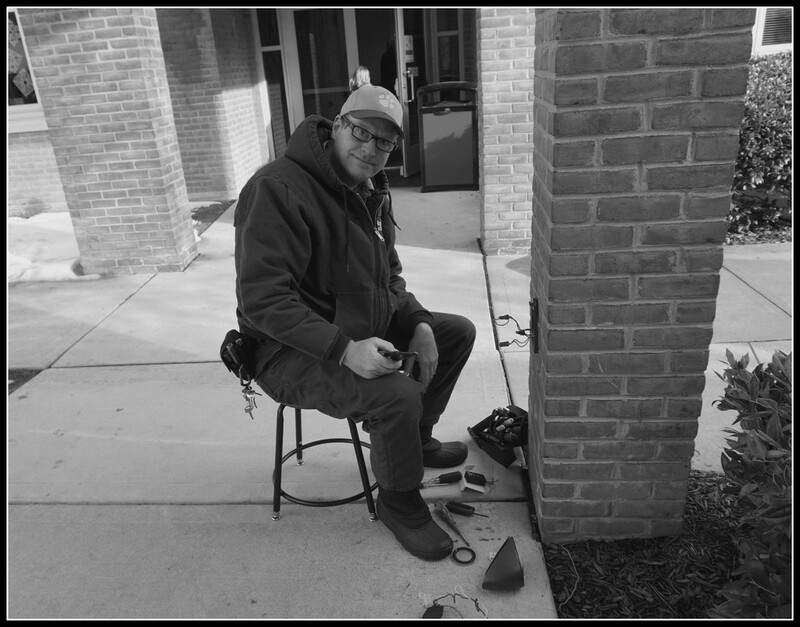 Paul is a great artist in his off hours, but today he was repairing a security light. I asked if the snow had done the damage but he assured me that the baffle had just gone bad. I wasn't sure what a baffle was but have since learned it is the metal trim around the light bulb. This picture is dedicated to @dishaparekh176 who has come up with some amazing puns. What would the world do without handy men?! Is that the 'Naughty Seat'? Love the set of keys!! Keeping things going a job of the Handyman!!! Nice candid shot. Love your title! I wasn't sure what a baffle was, either. . . .